Claire's said it would be reviewing its ear piercing policy after Edmonton employee Raylene Marks quit over concerns it did not recognize a child's consent. EDMONTON -- Complaints by a former retail worker who says she felt pressured to pierce the ears of a crying girl have reignited discussion around what circumstances children should be allowed to define their own personal boundaries. Raylene Marks says she quit her job at a Claire's accessories store near Edmonton after refusing to pierce the ears of a sobbing seven-year-old who begged her mother to go home. 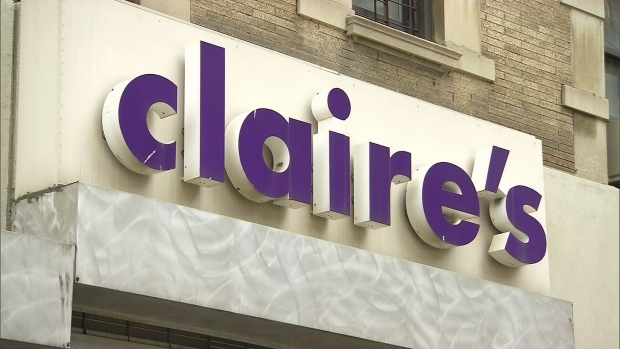 Eventually the mother relented, and officials from Claire's Illinois headquarters now say they are investigating the incident and clarifying company policy. In a statement Tuesday, the company adds that "any child piercing we do is carried out with the best care in consultation with, and with the agreement of the legal guardian." In the meantime, Marks says she's been inundated by supportive comments to an open letter to Claire's that she posted to Facebook on Sunday. In it, the 32-year-old outlined reservations about how and when children should be forced to be pierced, recounting several "grey area" incidents where "children resisted heavily, were pressured and intimidated by the parents into settling down, and the children weren't happy with what had happened." Marks says she reached her breaking point March 31 when a girl sobbed for 30 minutes while protesting a piercing requested by her mother. Marks says she told a co-worker who was also trying to pierce the child that she couldn't continue, and the mother eventually eased off, too. "When you're working in a store, you're representing that company and I thought: 'Good God, what am I representing?"' says Marks, whose post generated hundreds of comments, including several that suggested it's wrong for parents to force piercings on their children. Claire's responded in an emailed statement that Marks "acted appropriately and in line with our policy by refusing to do the piercing," noting employees have the right to refuse when a child resists. "We are investigating the specific store instances she mentions, and will take appropriate corrective action. 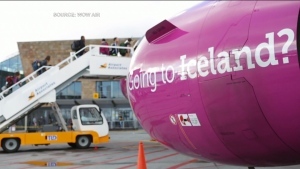 We will also be reviewing the policy to ensure that the intent is clear," says the statement. Policy 509 reads: "When a child is resisting the ear piercing, politely suggest to the parent that perhaps it would be better to perform the ear piercing on another day and/or when two associates are available to perform a 'double' piercing," referring to the practice of piercing both ears at the same time. Parenting expert and Peterborough, Ont.-based author Ann Douglas says once-routine traditions -- including ear piercings and circumcision -- are now battlegrounds for evolving notions of child autonomy. While acknowledging that little is known about the mother and daughter's back story in this case, Douglas says it does offer a good lesson in how a child's wishes can be addressed in difficult situations. "Some of the things we have to think about in this situation is: Is the child capable of making an informed decision at his or her stage of development, and if not, is it appropriate for the parent to step in? How urgent is this? How medically necessary is it?" Douglas says not acknowledging a child's feelings and wishes can affect their ability to set boundaries later in life in more mature relationships. She encourages families to discuss consent and autonomy on an ongoing basis. "That's disrespectful to the person the child is now and it's harmful to the person that child will become over time," says Douglas, whose most recent book, "Happy Parents, Happy Kids," came out in February. "Even though sometimes these discussions make parenting more complicated, I think they also make parenting richer and I think that we have fewer regrets after the fact if we're able to maybe weigh these issues that we weren't thinking about a generation or two ago." Marks says she's pleased that Claire's says it will address their piercing policy. But she'd also like staff to be offered "some kind of training around sensitivity or a child's bodily autonomy." "I'm eager to see follow through," says Marks.